Four unidentified persons with cattle on leads. 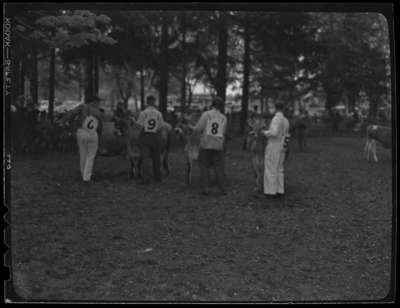 Cattle Show - Jerseys (Image 5 of 5), 1947, Marjorie Ruddy. Whitby Archives A2013_040_1100.